In my role as Chairman of Doyle I am privileged to be part of a company with a worldwide reputation for expertise, integrity and service. Prominent collectors, estate executors, curators and dealers trust us to deliver appraisal and auction services of the highest quality. Our professional staff stands ready to guide clients through the entire appraisal, consignment and auction process. Clients consign their property to Doyle knowing that we commit our scholarship, market knowledge and global outreach to every sale. Our international network of buyers, including sophisticated collectors, major dealers, interior designers and museum curators, know the quality of our offerings and appreciate our standard of service. Along with our excellent team of dedicated professionals, you have my commitment that we will help you have a successful auction experience. I invite you to contact us with any questions, we look forward to hearing from you. 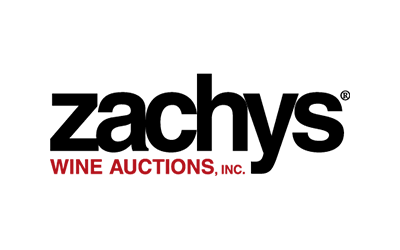 Founded in 1962, Doyle is one of the world's foremost auctioneers and appraisers of fine art, jewelry, furniture, decorations, Asian works of art, coins, stamps, rare books and a variety of specialty categories. Located in New York City, the global capital of the auction market, Doyle offers approximately forty sales each year that attract a broad base of buyers and consignors from around the world. Doyle has an established reputation for professionalism, integrity, expertise and service. 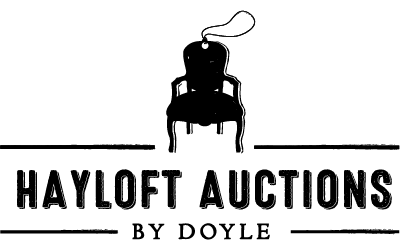 With the goal of achieving the highest possible prices at auction, Doyle’s focus on providing individual attention to each client remains paramount. Through the years, Doyle has auctioned the estates of Hollywood legends James Cagney, Gloria Swanson, Bette Davis, Rock Hudson, Rex Harrison, Ruth Gordon, Douglas Fairbanks, Jr. and Joan Crawford. From the world of music were the estates of the legendary New York City Opera soprano Beverly Sills and musicians Louis Armstrong, Duke Ellington and Count Basie, and actress and chanteuse Lena Horne. Doyle also auctioned the estate of Lady Sarah Consuelo Spencer-Churchill, sister of the Duke of Marlborough; the collection of Alice Appleton Hay, daughter-in-law to John Milton Hay, President Abraham Lincoln's private secretary; El Morocco: The John Perona Collection; the estate of famed restaurateur Elaine Kaufman of Elaine’s; and rare books and autographs deaccessioned from the New York City Bar Association. Doyle is well known for its on-site auctions, including the sale of treasures from three legendary New York restaurants, Maxwell's Plum and the celebrated Russian Tea Room, as well as notable on-site auctions of the estate of Mets owner Joan Whitney Payson and the estate of the acclaimed American painter Ogden Pleissner. Doyle's prime objective is to achieve maximum prices at auction, while coordinating and simplifying the process of appraising and liquidating estate property and private collections. We are committed to providing expert evaluations and personalized services designed to meet the individual needs of our clients. 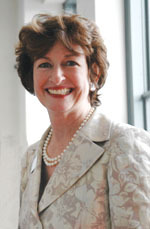 As Chairman/CEO, Kathleen M. Doyle leads the growth strategy for Doyle. Her in-depth knowledge of the art and auction market, combined with her commitment to providing buyers and consignors with personalized service, has enabled the gallery to significantly expand the worldwide client base and has increased the range of offerings at auction. Recognizing the opportunity in the global art market, Mrs. Doyle negotiated international strategic alliances in London and Paris. To accommodate consignors and collectors outside of New York City, she established a network of regional representatives throughout the Atlantic seaboard and in key markets in the West. Mrs. Doyle spearheaded the development of online client services with a state of the art Internet site, adding Internet bidding capabilities first with Amazon.com, and eBay, and currently with Artfact and on DoyleNewYork.com. Mrs. Doyle initiated an extensive education program at Doyle for collectors including lectures and seminars featuring specialists in art, design, fashion, jewelry, etc. Doyle was the first auction gallery to provide appraisers to the Antiques Roadshow and has supported WGBH as an underwriter of the program since 1996. Mrs. Doyle also developed programs to provide free appraisal and auction services for museums and not-for-profit organizations, schools, universities, hospitals and medical schools and community services. Mrs. Doyle first joined her husband, William J. Doyle, founder of William Doyle Galleries, in 1968, as Director of Jewelry Exhibitions. She later left to pursue graduate studies. Mrs. Doyle served as Parent Education Specialist at the New York Medical College’s Early Childhood Development Center, and, following that, she founded the Parent Education Program in the Department of Pediatrics at St. Vincent’s Hospital. For eight years she directed the early intervention program to provide an interdisciplinary team approach to pre and post-natal parent education, family support and advocacy. She rejoined Doyle New York in 1992, and, after her husband’s death in 1993, she assumed responsibilities as Chairman/CEO. Mrs. Doyle was born in Bryn Mawr, PA. She is a graduate of Trinity College in Washington, D.C. and has a Master of Science degree in Parent and Infant Development from Bank Street College in New York. She holds certificates from the New York School of Interior Design and The Gemological Institute of America. 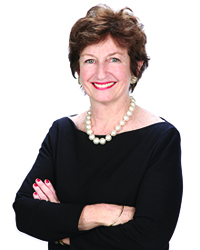 For ­­many years she served on the boards of St. Vincent’s Hospital, Guild Hall Museum in East Hampton, NY, the Edwin L. and Francis Cummings Foundation, the Hannah and Ryan Barry Foundation, and the 564 Park Avenue Foundation. Mrs. Doyle is a member of ArtTable and a contributing author of Wealthy and Wise (John Wiley, 2003). She is one of the founding members of the East 86th Street Network, a community association of schools, businesses, environmental organizations and elected officials on the Upper East side of Manhattan. She serves on the Board of the Citizens Committee for Children. She is a frequent lecturer on the Art and Auction Market and regularly attends Trust and Estate law conferences around the United States. She is married to Richard Ravitch, the recent Lieutenant Governor of New York. Berkshire Hathaway is a company built on trust and framed in excellence.The partnership between Berkshire Hathaway and HomeServices of America combines a century of financial strength and operational excellence with a profound understanding and knowledge of residential real estate.We are dedicated to providing the very best service available and have the expert knowledge and network to achieve the goals of our clients. 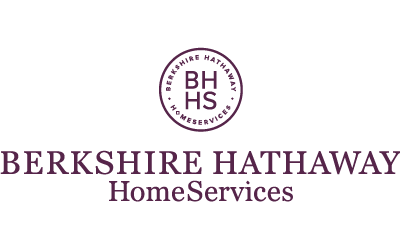 Our local presence and our robust national and international networks extend our reach to potential, highly qualified homebuyers around the world.There is a single vision shared by the thousands of professionals who represent the BHHS HomeServices brand. It is to combine the aspirations of discerning buyer and sellers and to make each customer experience one that surpasses all expectations. The Zachys Wine Auction experience reaches back to the introduction of wine auctions into New York City in 1994. We now conduct nine or ten auctions per year, with sales in New York, San Francisco and Hong Kong. Furthermore, as the nation’s largest and most powerful retailer of fine Bordeaux, we have established relationships in Bordeaux and throughout Europe that no other auction house can boast. With our rapid rise to the top of the U.S. wine auction market, and our international status as a purveyor of fine and rare wines, Zachys is still a family business at heart. What truly sets everything attached to the Zachys name apart - be it the retail store, the auction division or our private storage service - is our commitment to exceptional customer service. This dedication to keep both consignors and buyers satisfied runs throughout the entire Zachys Wine Auctions experience.